Yesterday we started our 2014-2015 school year. but hadn't "officially" started until yesterday. enrolled in the Quick Family School. before it was time to welcome the kiddos to breakfast. and they got the special treat of having orange juice for breakfast. All they could talk about was the juice for the entire breakfast. We started school and had a great morning. We have some work to do as far as being patient and waiting our turn goes. Liam had his first real taste of "you must sit down and finish your work" this year. but wasn't forced to finish it all. This year is different. He has to complete his tasks, though there aren't too many. Last year, Ella had my full attention and was used to me jumping the moment she had a question. This year, she has to learn to wait when I am working with Liam. Not only that, but Guinnyth is a full-time fixture in our schoolroom. (school was much shorter last year). This year, she is hanging with us and hopping from school chair to school chair "helping"
Liam and Ella with their work. I will give periodic updates as the year progresses. Our first day was as smooth as I could have hoped for. The reality of longer school days is here and we are all learning to adjust to them. It is going to be an exciting year! 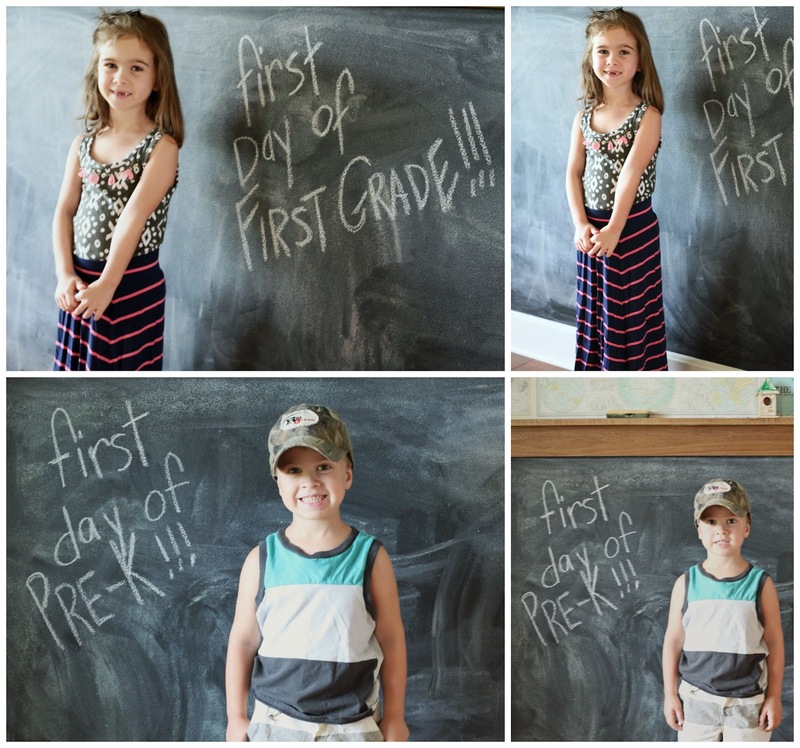 We started our first year of homeschooling three weeks ago. I have a 2nd grader and kindergartener. Along with an 11 months old. I love reading your updates! Good luck! It really can be a lot of work, but worth it! HOORAY for smooth first days!